Internet Farmer creates online markets for farmers and food buying clubs, and helps local food businesses tell their stories through social media and community. Farmers & producers wanting to create an online farm stand to sell direct to customers, you want Zen Cart for Farmers. Food buying clubs, or anyone organizing bulk purchasing in a group environment, you want BuyingClubSoftware.com. For anyone needing any assistance online in the realm of local food systems we offer Marketing & Coaching. We are techy folks who have specialized in marketing & e-commerce for over 20 years. We also have experience on farms and gardens, and have done a variety of work in the food system as volunteers and for employment. The combined experience creates a wonderful discussion about how these online tools can support business and community around good food. 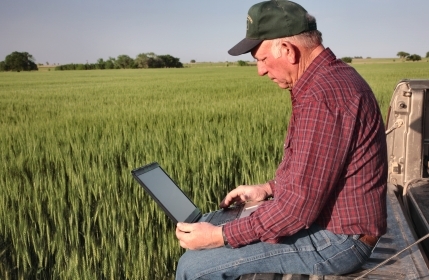 Customers of the Internet Farmer receive both email and phone support for everything you need to be successful in your online endeavor.